It is undeniable that we have brothers and sisters who need our help and support because of numerous factors. For example, our brothers and sisters having no homes because of natural calamities, being hospitalized and having no financial capacity to pay, or being just financially incapable of standing on their own. 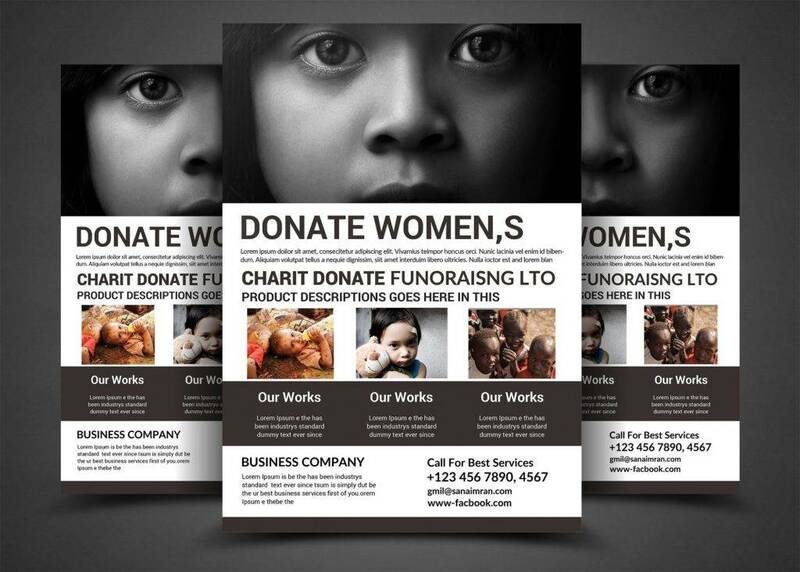 You may also see business flyers. 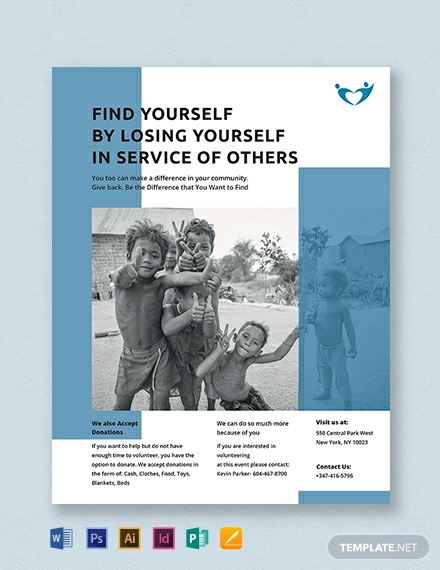 Because of this, many charitable institutions have been established to help these people alleviate their financial burden as well as their emotional stress. It has always been our best nature to give sympathy to those who are unfortunate and help them the best way that we could. We are therefore people with compassion, not heartless robots. You may also see marketing flyers. 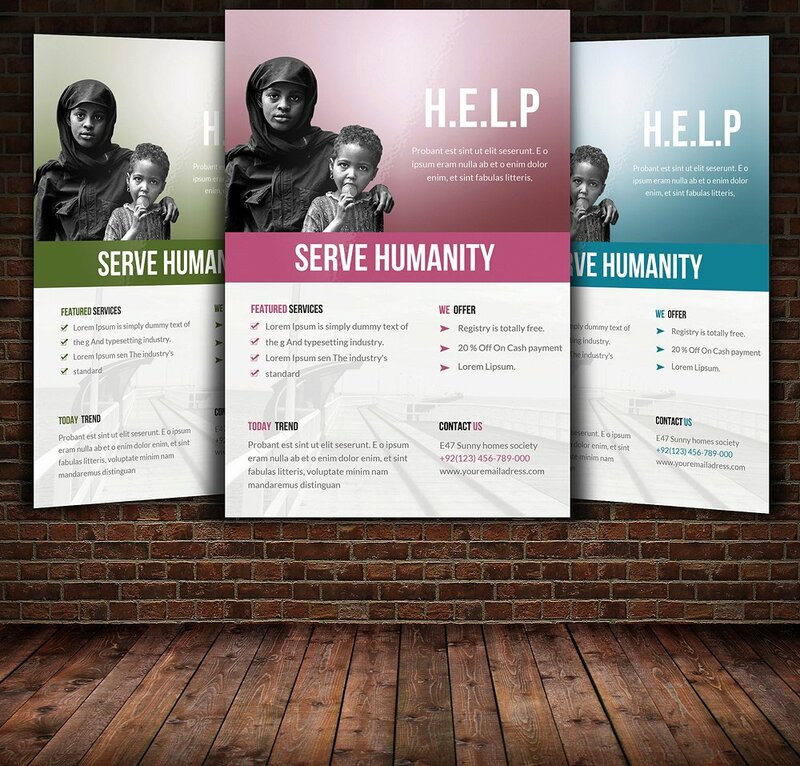 To reach people and to gather more funds for the victims of a calamity or tragedy, a promotional material is needed to spread information. There is always somebody out there with a kind heart who is willing to share a little portion of his/her wealth. 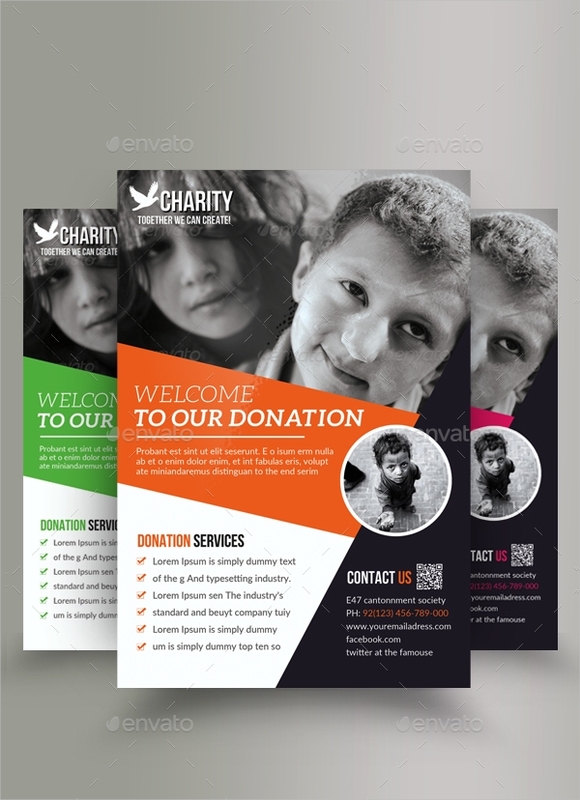 Promotional materials include brochures, flyers, vouchers, catalogs, and banners. 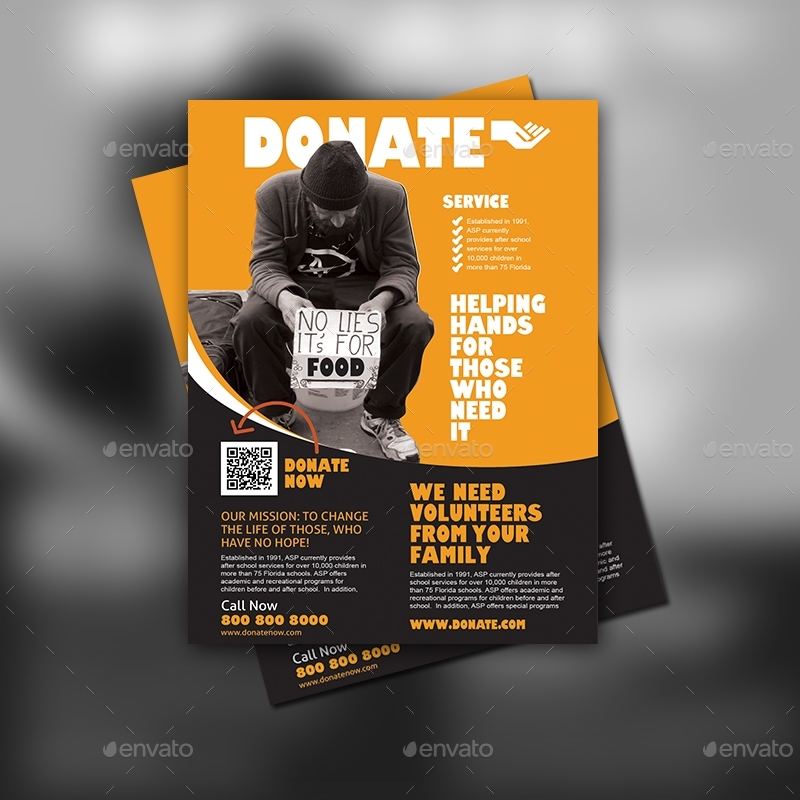 If one seeks donations, using flyers is the one of the most effective promotional materials you can use. 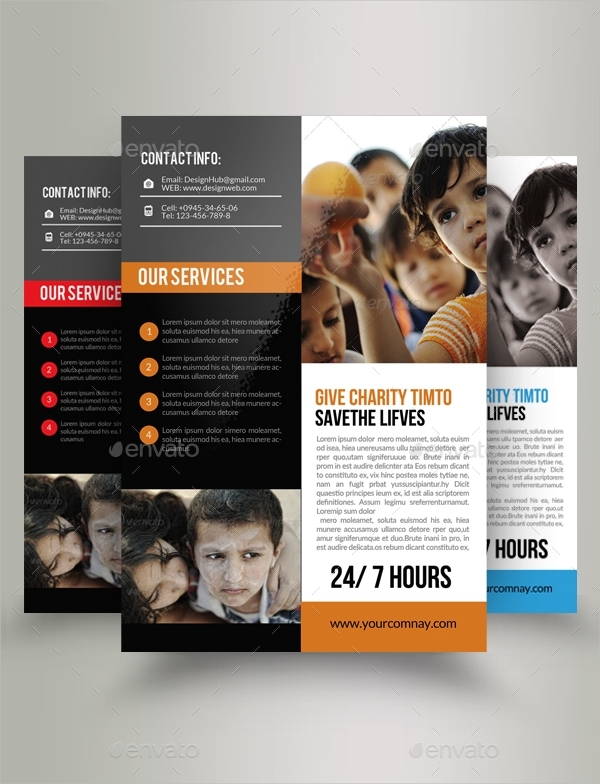 A flyer is a small sheet of paper, printed with information to promote or advertise certain products or services, or to inform people of activities or events with a cause. 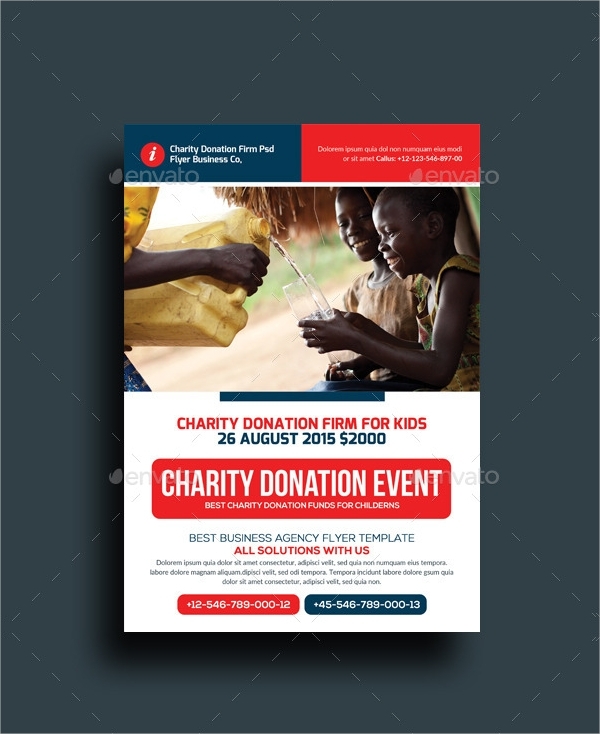 Hence, if one asks for donations, a donation flyer can surely help disseminate information and gather prospective donors. 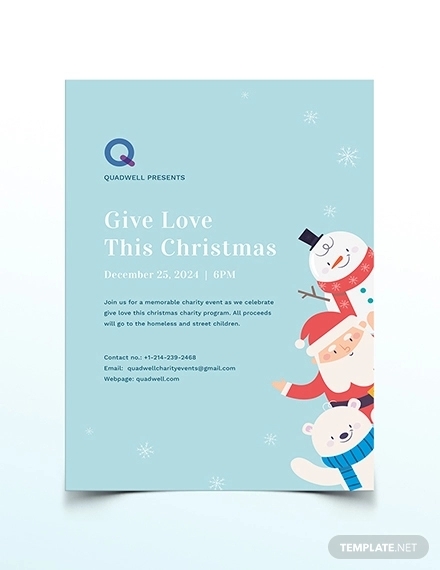 You may also see invitation flyer. 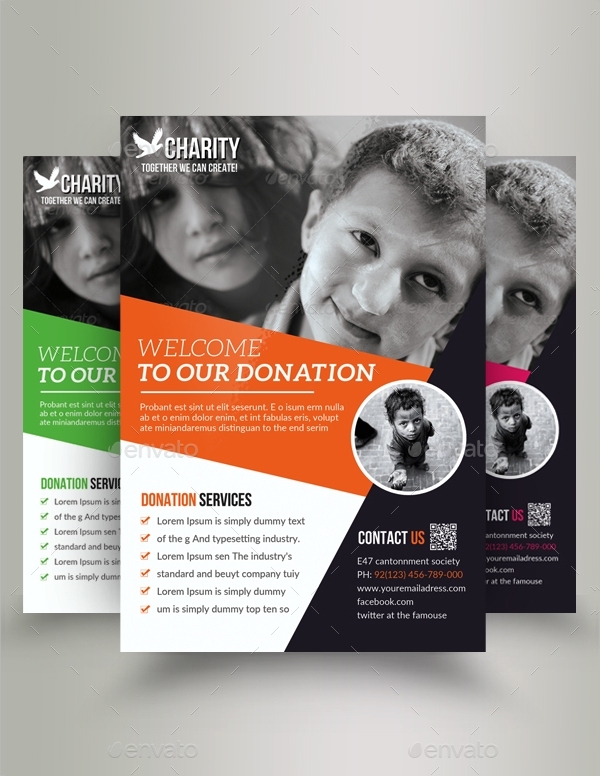 In this article, we are providing you examples of donations flyer designs that will help you in your charity event. The kinds of donations are also discussed in the latter part of the article. 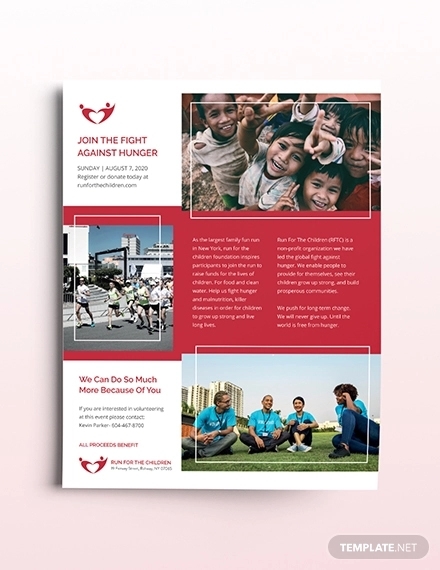 Looking for a donation flyer that is suitable for your charitable institution or your charity flyer events and activities? 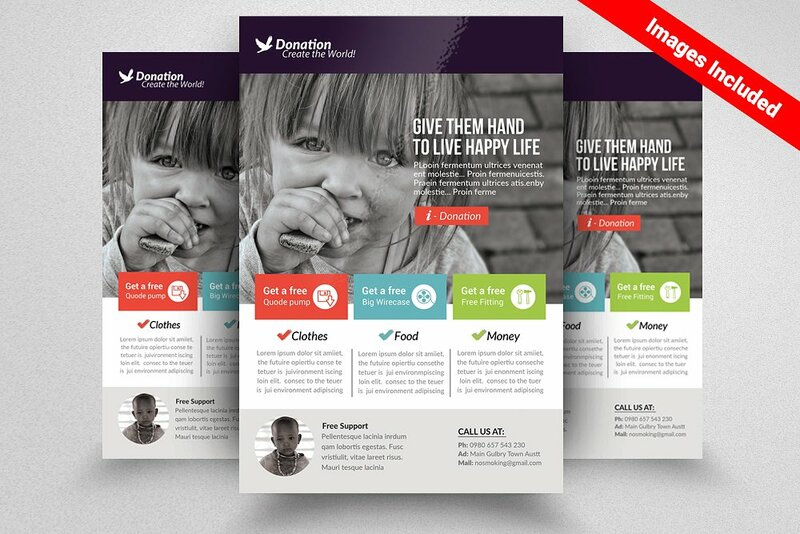 Here are examples of the best donation flyer designs. Check them all out. One of the advantages of giving a donation is that you can help the less fortunate, especially assisting them financially. 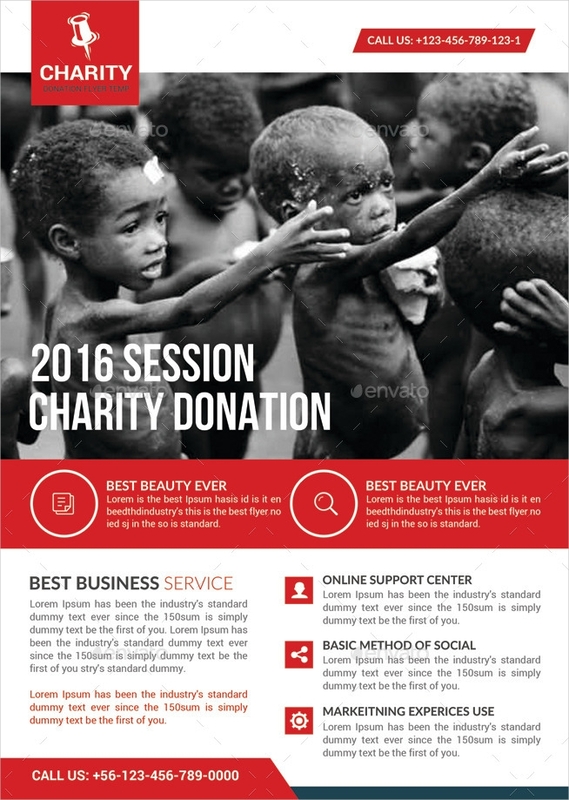 Another thing which you probably might not have known especially if you are a company, is when you donate to a charitable organisation. you can deduct the donated amount from your taxable income. A lower taxable income would result to lower tax, giving you additional savings or income. Thus, many people, including the celebrities, are supporting financial groups because, aside from being generous and compassionate, they can also benefit from the reduction of their taxes. You may also see restaurant flyers. There are actually a lot of donations which you can contribute. 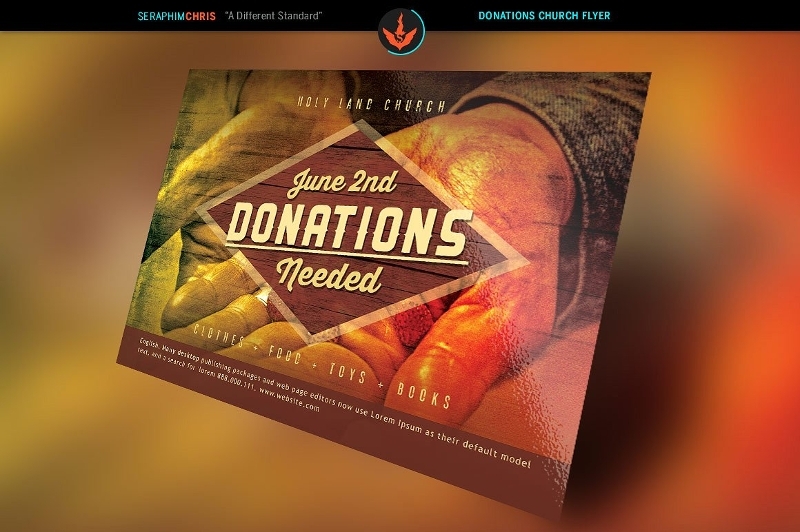 May it be financially or through other efforts, you can help a charitable institution in a lot of ways. 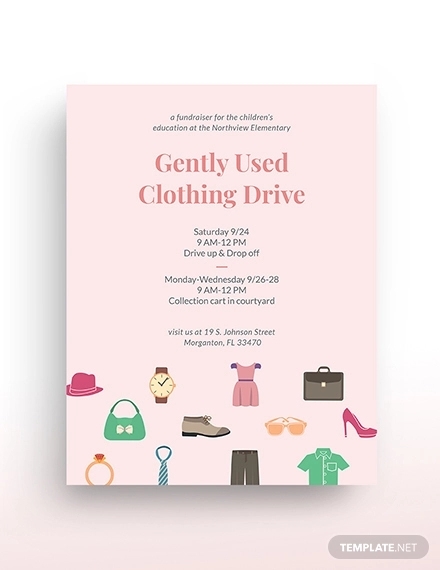 Here are a few items you can donate. 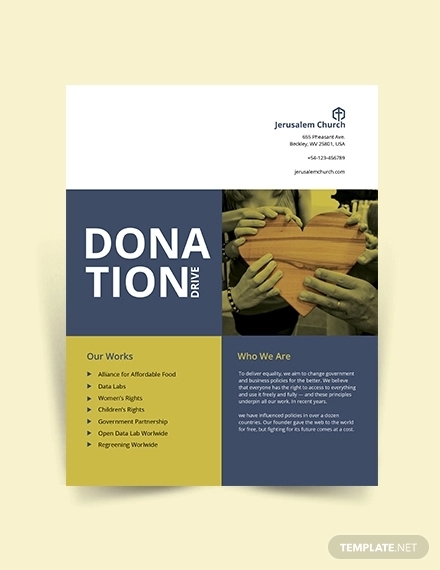 This is a kind of donation where you will donate cash or other securities to a certain charitable institution or organization. 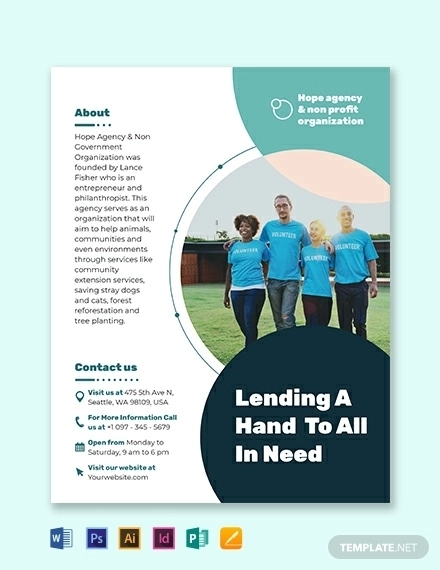 The great thing about having this kind of donation is that you are more physically and emotionally connected to a certain charity of your choice because you will have direct communication to the organization’s director or management team. You may also see retro flyers. Real estate pertains to land, property, and rights attributable to the property extending above and below the ground. If you have spare land or an unused building, you can donate them so that many people can benefit. Another example would be, a group of artists in need of space for their exhibit or gallery, or in need of headquarters to do their artworks. If you own a building and you are not using it, donate them to the group of artists. You can also lower your tax if you claim the amount of land as well necessary land improvements. You may also see campaign flyers. If you don’t have any real properties to spare, you can donate cash directly to charitable activities or to a charitable organization. The good thing about cash is that the recipient has the freedom to use them to whatever their needs are. Cash can be very versatile as it is convertible into any good of the receiver’s choice. You may also see club flyers. Individuals who own shares of stocks from a certain company has a part of company’s assets and earnings. The greater number of shares of stocks you are holding, the greater your portion of the overall profit wil be. However, many people are considering to donate their stocks because of the reason of not gaining any capital gains tax which results to lower tax. 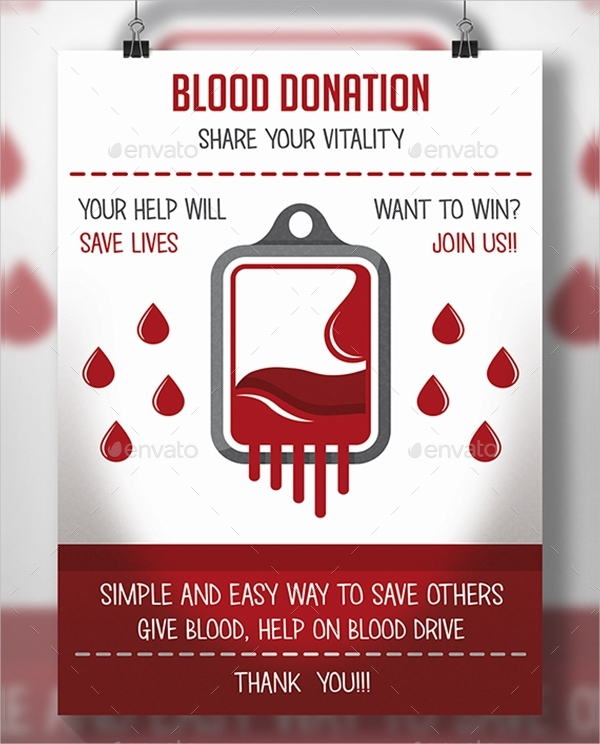 Moreover, because this is a type of donation, this can also serve as a reduction to your tax base and taxable income that would, in turn, reduce your overall tax payable. You may also see photography flyer. 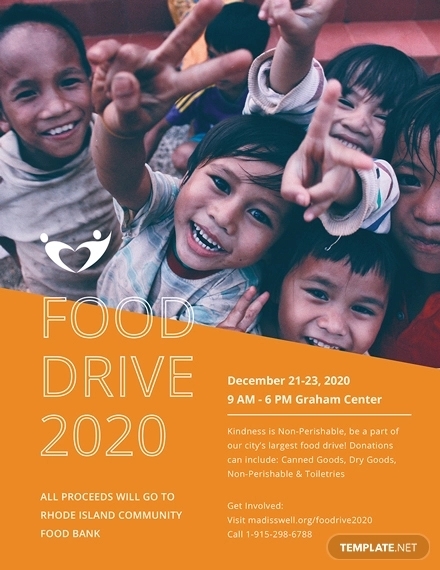 You can also donate canned goods, packed foods or clothing. This is a big help especially to those that are victims of typhoons, earthquakes, and other fortuitous events. You may also see promotional flyers. 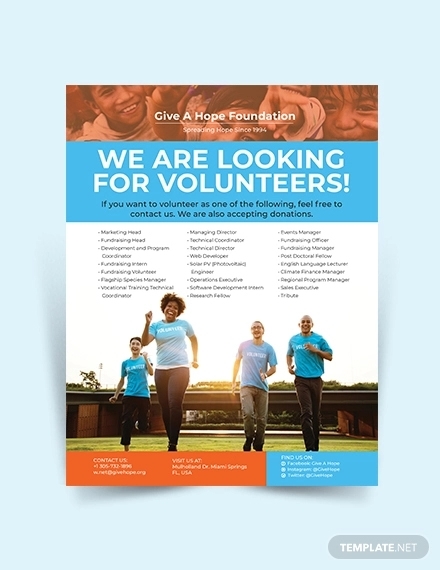 You don’t need to donate material things as you can always volunteer, for example, in packing relief goods, ushering people to their new homes, or offer some conuseling to victims of tragedies, among others. 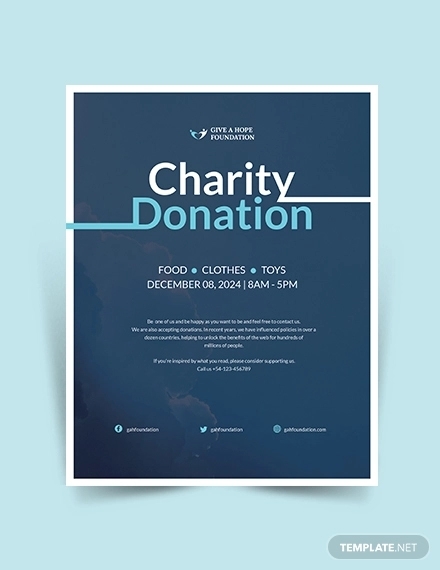 You may not be able to donate something physical, but your effort can already mean so much to the beneficiaries of the donations. You may also see movie night flyers. 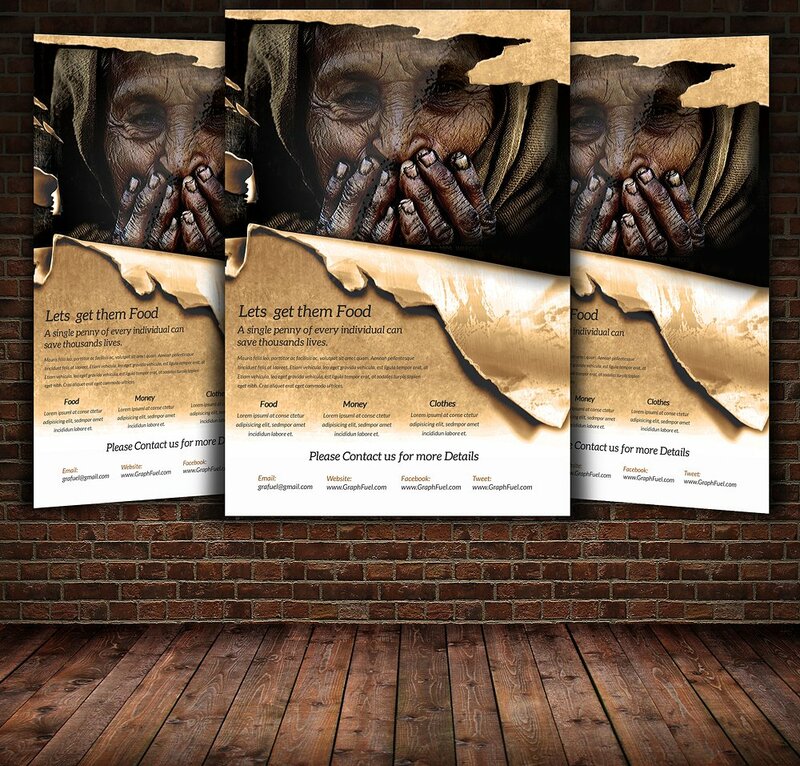 You can also help promote a cause through the use of internet as people nowadays spend more time browsing the internet. 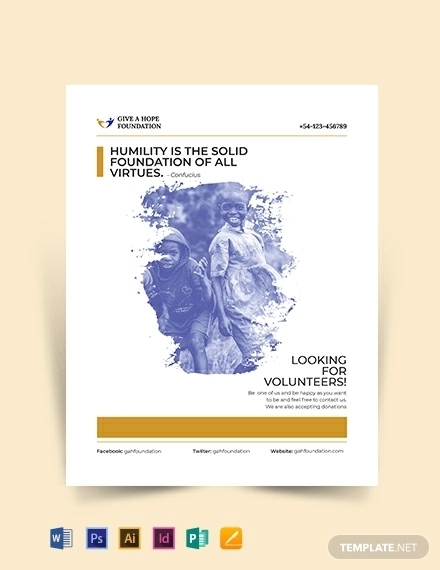 A lot of people will surely stumble upon your charitable cause. You may also see party flyers. Because we believe that there are those who are less fortunate than us, we have this burden in our hearts to help those people. 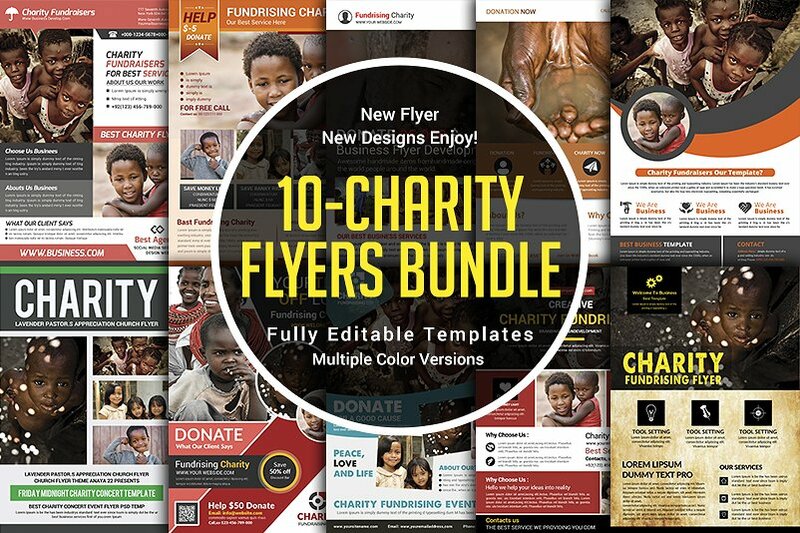 To gather sufficient funds for them, a flyer, one of the effective email marketing tools that has proven to be effective for centuries now, can surely help in disseminating information regarding your cause. 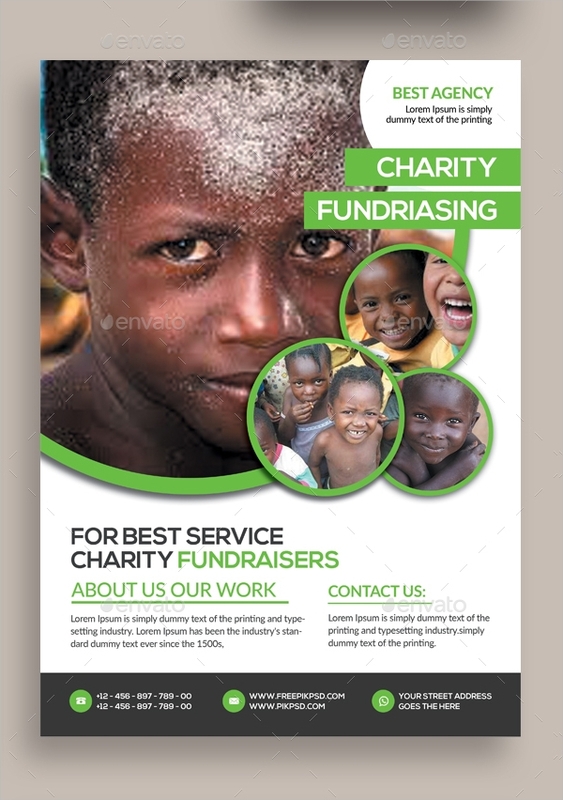 Through the use of flyers, your charity event will surely be a success.